EJOVE have their origin at the beginning ofthe 80's when we decided to create an efficient range of products for preserving facial youth and the esthetics of the body, based on a refined quality as well as the latest advances to combat skin problems. EJOVE is essentially a dynamic growing company specialized in researching of a range of products from dermo-cosmetic care of skin and hair, which has the support of a team of professionals. 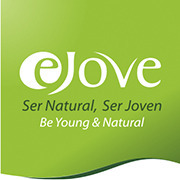 EJOVE products have been reaching a growing reputation in the market as a result of their demanding standards of quality in the shops, distribution and results in maximum efficiency thanks to the use of the best active ingredients of natural origin (Natural Aloe Vera). Also stand out as essential factors in its formulation, its proven anti-allergic characteristics, guaranteeing its perfect adaptation to the treatment and care of particularly sensitive and delicate skins. All EJOVE products undergo demanding tests of quality, ensuring maximum freshness of the product.